Infrastructure & Civil Works | Pentek, Inc.
See why government agencies ranging through local, state and the federal level are choosing the Pentek System to minimize exposure, reduce overhead and stay compliant! Spring 2008 saw a milestone in the rebuilding of the 50-year-old Driscoll Bridge near Sayreville, NJ. Conti Enterprises Inc. of South Plainfield finished the northbound structure two weeks ahead of time. Two VAC-PAC® model 24 systems along with several Pentek power tools were employed to spot clean lead based paint from numerous locations on the bridge that spans the Raritan River as part of the NJ Garden State Parkway. After completing this project,the Pentek equipment was put to use on another heavily used structure: the Whitestone Bridge in New York. This 500,000 gallon steel tank is approximately 167 ft high and 50 ft in diameter. It is located on the U.S. Naval Station in Rota, Spain. The contract to clean and re coat the nearly 30,000 square foot structure was awarded to locally based Newimar, SA. After studying the requirements and the surrounding environment, Newimar personnel sought and won approval to use Pentek technology to perform the abatement of the existing lead-based coating. Pentek delivered a VAC-PAC® system that includes specially designed air supply and vacuum extension manifolds to meet the long reach required by the tower’s size. Two Pentek technicians provided on-site training and setup expertise to get the project started. The tower now has a fresh coat of paint. 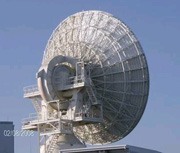 General Dynamics SATCOM Technologies builds and maintains satellite antennas throughout the world. One such 18 meter dish in the U.K. had a layer of paint that had to be carefully removed from the massive aluminum structure. A very smooth surface had to be maintained for the antenna to properly focus the incoming signals. Pentek delivered a VAC-PAC® system complete with Roto-Peen Scalers outfitted with the Cushioned Abrasive Wheels to accomplish this special project while maintaining dustless operation. The City of Denver has its’ own a four-tool VAC-PAC® system. This system gives the city much sought-after control over their own bridge repair capabilities. To avoid contractor restrictions and excessive costs, Denver has opted to take the work in-house. Contract labor may be used as needed but the projects and resources are now managed internally.